A Good and Safe workplace is one of Nordkalk’s strategic focus areas. We work continuously towards our ultimate target of zero accidents. Our commitment to health and safety (H&S) is our highest priority, an integral part of all our activities that applies to both our employees and our subcontractors. Nordkalk has had OHSAS 18001 certification since 2012 in the whole company. We have zero tolerance for drugs and alcohol, and a no smoking policy applies to all our premises. Our long-term target in H&S is zero accidents, for personnel and anyone on our premises. We have a midway LTA1 rate target of less than two by the end of 2022. Our gradual improvement in H&S is a result of continuous and long-term work towards zero accidents. We believe that all risks arising from work can be managed through foresight and careful behaviour. We therefore demand a commitment from everyone working on our premises to actively contribute to a safe behavior. Together we can improve workplace safety for everyone! 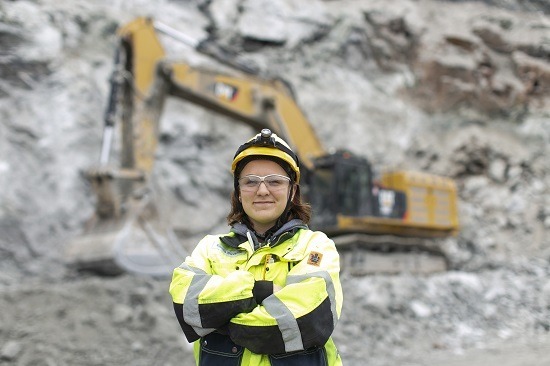 Our employees are active in safety matters and open to improvements. Some examples of our activities and processes for sharing information and learning from others include, monthly H&S reports, an annual Safety Week, safety committees for H&S discussions between management and personnel representatives, safety alerts to inform employees about accidents or serious near-misses, a shared H&S guide, campaigns, a tool for the chemical register and related data sheets. We participate in EuLA’s (European Lime Association) Safety Task Force and in regional industry organisations’ H&S activities. The structure of our organisation includes NK Management/Work committees at Corporate and regional levels, and Safety Committees at a unit/local level. In 2018, our H&S work focused mainly on actions to improve positive safety behavior & culture and to unify processes & instructions. We developed further the common safety reporting/handling tool (GRIA) in order to include a new observation type: safety behavior. We also unified and implemented our H&S risk management processes into GRIA, and incorporated unified checklists for risk analysis and inspections. We work in close cooperation with our contractors in safety matters. Contractors get safety information/training and we encourage them to report observations, near misses and accidents in GRIA. The programme has many advantages: good options for data analysing, common account for all employees that makes it possible to monitor reported occurrences, easy and logical way for obtaining periodical reports and other needed information. Via GRIA we can share our information and learn from other companies’ experience. The system is user-friendly and easy to learn; all our languages are supported and available via online and in the app. To being a safe place to work at, with zero accidents for personnel and anyone on our premises. To establishing a positive safety culture, where all employees are engaged in safety thinking and committed to safe behaviour and an accident-free working environment. To ensuring contractors’ compliance with health and safety regulations. To giving priority to health and safety in all decisions and situations.